Each candidate had the support of 40 percent of those polled, with Cutler having only 14 percent. Gov. Paul LePage and U.S. Rep. Mike Michaud are in a dead heat in their race for governor, according to the latest polling results released Tuesday. A survey of 830 likely Maine voters conducted last week found that LePage and Michaud each had the support of 40 percent of the respondents, according to Rasmussen Reports, a national polling firm based in New Jersey. Eliot Cutler, who is reprising his role as an independent candidate, did not fare as well, with only 14 percent of respondents supporting his bid for the governorship. Ratings of favorable opinions about the candidates were more varied. 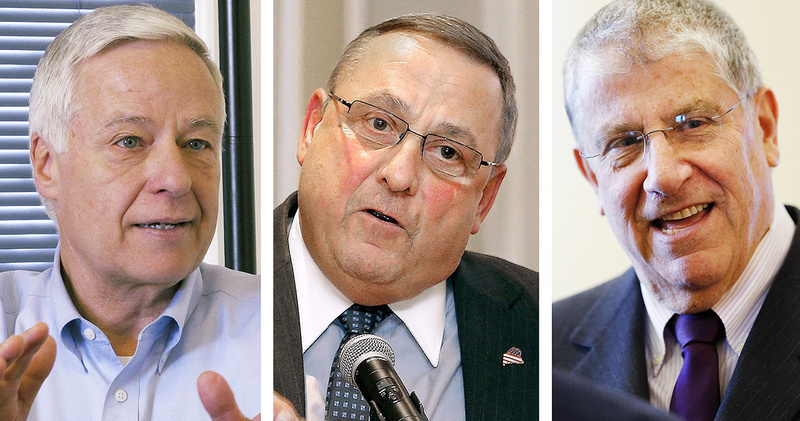 Nearly half of respondents, 46 percent, said they held either a somewhat favorable or a very favorable view of LePage, while 51 percent said they had either a somewhat or very unfavorable view of the first-term governor. Michaud fared better, with 53 percent of respondents saying they held a somewhat or very favorable view of the veteran politician, and 40 percent saying they held a somewhat or very unfavorable view of him. Cutler’s favorable rating reached 44 percent, while 42 percent held an unfavorable opinion. When Rasmussen asked directly about whether the pool of likely voters approve of LePage, 47 percent said they somewhat or strongly approve of the incumbent, while 52 percent of respondents said they somewhat or strongly disapprove of LePage. The margin of error of the poll was plus or minus 3 percentage points, Rasmussen said. Questions were asked by an automated process to landline customers over a diverse geographic area. Cellphone polling was not conducted. In its place, an online survey was conducted to reach people who have abandoned hard-wired telephone communications. Rasmussen has a mixed history of accuracy and is sometimes criticized for producing polls skewed toward Republicans.